We couldn't accomplish our quest without the help of our local friends and community. Every little bit goes a long way towards expediting our ventures to make the artificial reef a success! Choose954 is a social movement aimed to Cultivate Culture & Community in Broward County. The major emphasis within Choose954 is to support local from your local Artists/Business/Park/Coffee Shop/Etc. They aim to connect members of the community over shared passions in an effort to make the community a better place to live, not just a better place to vacation. Follow them on social media to stay in the know with all of the great things going on! We couldn’t do any of this without our incredible Reef Builder - Christopher Xavier O’hare of Reef Cells / CXO Art! Don’t hesitate to ask us about other styles of reef modules and how we can ship them to any destination around the world to create an instant reef! 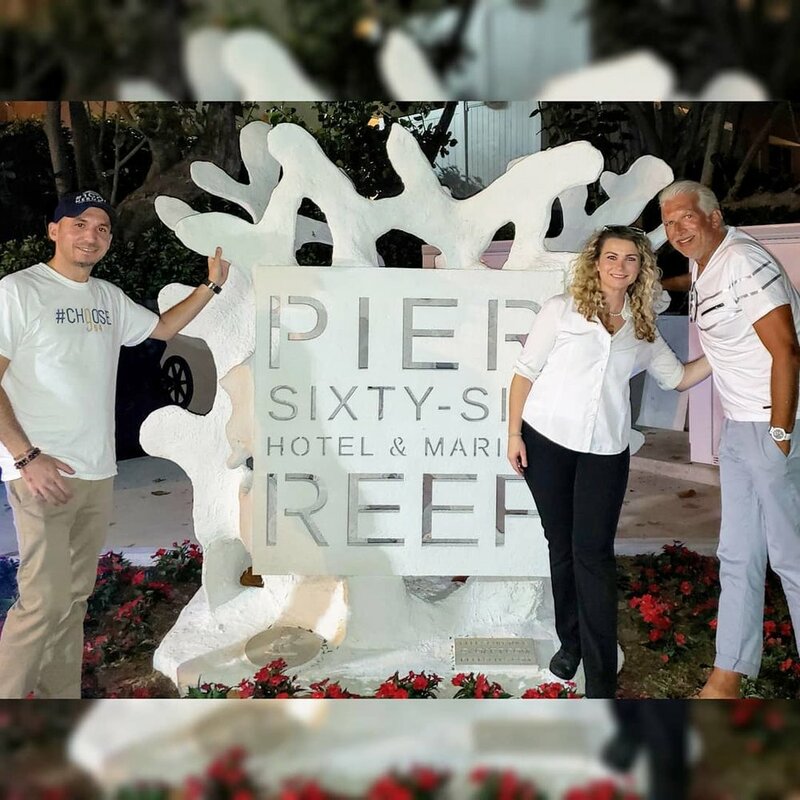 We can not thank Megan Washington & The Pier Sixty Six Hotel & Marina team enough for all of their support and allowing us to stage our reefs on the south marina as an above water sculpture garden! We visited the University of Miami's Rescue a Reef program at the Rosenstiel School of Marine & Atmospheric Science to learn about the challenges facing coral reefs around the world and what we can do to help. Sea Experience of Ft. Lauderdale Beach. Bill Cole and Mateo Torres have been critical for our project since day 1. Everything from hitching rides to the dive site to speaking about the project to tourists and locals. If you would like to partner with us simply fill out the form below and one of our staff members will get back to you.